LimeEdit is a free editor/composer for png/jpg/gif image files. 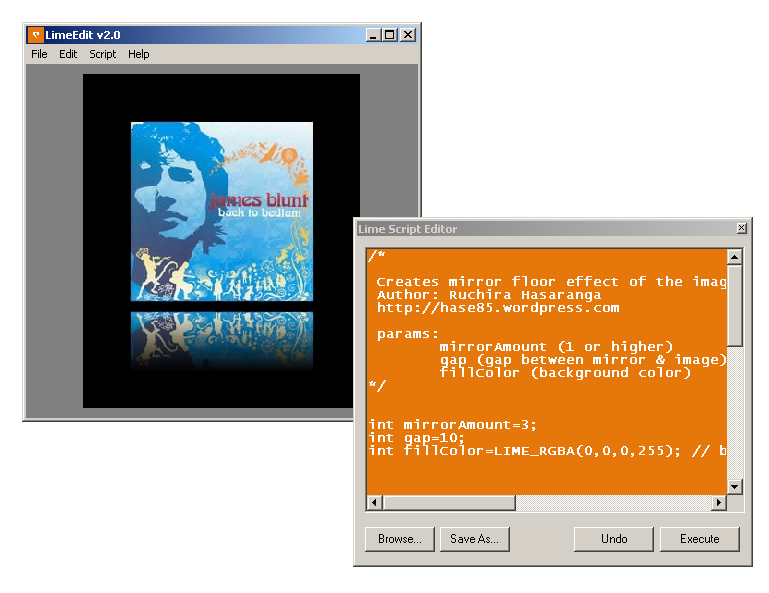 By using this application, you can compose or apply effects to image using scripts. Scripts can be coded in standard C/C++ code. You are currently browsing the Tools & Technologies From Hasaranga blog archives for July, 2012.